Michael Hume’s company is making the most popular video game available this Christmas season. The son of a former ambassador, he’s trying to redeem himself for a troubled youth with success when his grandparents run away to Christmas Town, the home they left to care for him when his parents couldn’t. 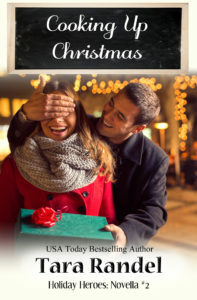 He wants them to have the kind of Christmas they used to have, and he’s willing to pay Lacey Dickens to do whatever they want. 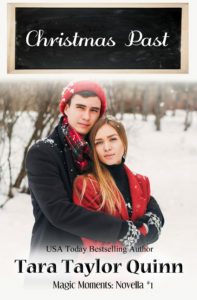 He doesn’t plan to get distracted by the love that makes his life whole in Once Upon a Thanksgiving, a novella in A Heartwarming Holiday. 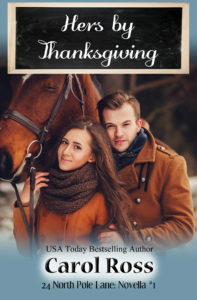 Lacey Dickens has just started an interior design business with her college friends when she agrees to give Michael Hume’s grandparents the setting for a Thanksgiving like the ones they had when they lived in Christmas Town. Unfortunately, the Hume’s dreams are a nightmare—unless tawdry and kitsch are going to be Lacey’s niche. 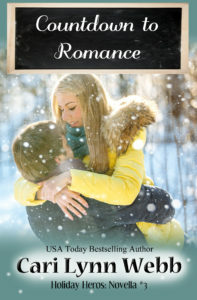 But love makes Lacey risk her own dreams to make Michael’s and his grandparents’ come true. 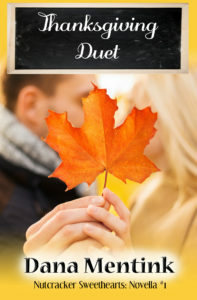 But she might dare to dream for herself in Once Upon a Thanksgiving, a novella in A Heartwarming Holiday. Rational scientist Grant Carver has never taken much on faith. He's a man of facts, not what ifs. Becoming guardian to his orphaned niece and nephew opened doors he never knew existed, including the one to his heart. A reformed Grinch, Grant now writes a successful line of children's' books and lives in Christmas Town with wife Charlotte and their ever expanding family. 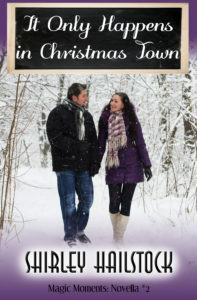 Moving to Christmas Town with her two best friends was probably the best decision free-spirited Charlotte ever made. Opening a home holiday decorating business might be a close second. 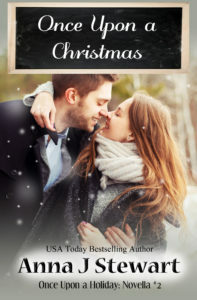 Taking on young Addison Carver's request to give her and her little brother Wesley the perfect Christmas should have been a piece of cake except for their Scrooge of an uncle, Grant Carver. Funny how things work out. 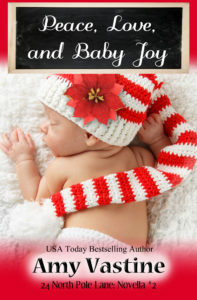 Charlotte lives in Christmas Town with her husband Grant, Addison, Wesley, and their soon-to-be born twin daughters. Former roadie Gavin Elliott has settled down in Christmas Town with two of his college roommates. They've started a holiday decorating business, but now Gavin's having second thoughts and missing the road. He's committed to bringing a huge New Year's Eve display to the ski resort and dog-sitting his friend's St. Bernard, Snowy. As a child, Dr. Amelia Lawson had Christmas forced upon her, until she considered the holiday too commercial. She's happy that Christmas is over and clients are returning to her veterinary practice. And then a St. Bernard runs into her life, bringing his dog-sitter, a man who's full of holiday cheer. This wounded former Navy SEAL isn’t the man he used to be. And while he’s in Christmas Town to check on his family’s broken-down ski resort, Ash doesn’t plan to celebrate Thanksgiving. But someone else has a different idea that just might lead him toward a better future. Jill is a widowed kindergarten teacher. She never comes near the ski resort where she lost her husband on the slopes. That is, until Jill is forced out of her comfort zone—and her grief. Maybe it’s time, after all, to pick up the pieces of her life. 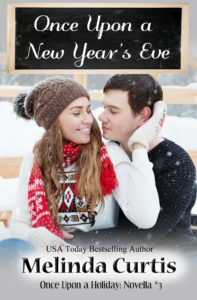 a former Navy SEAL, comes to Christmas Town to open a restaurant at Blue Spruce Mountain Resort and start a new life. If the pretty manager doesn’t fight him on his innovative menu, that is. She is overseeing the reopening and management of Blue Spruce Mountain Resort. She’s all about tradition and the handsome new chef wants to shake things up. Can they compromise? 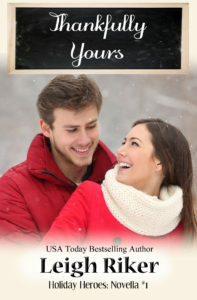 When former Navy SEAL, Zach Evans, agrees to help his two best friends renovate a ski resort in Christmas Town, he plans to stay for the winter season and leave before the first Spring bloom. But if this drifter risks his heart, he just might find a place to call home. 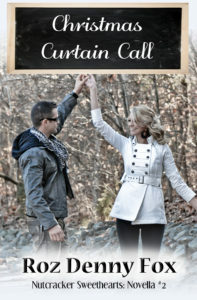 Emily Hayes lives her life crisis to crisis as a traveling ER nurse and her lifestyle suits her just fine. That is until she returns to Christmas Town, her childhood home that she believes holds nothing more than painful memories and begins to see a brighter future. But first she must trust her heart. CJ Larkspur’s beloved uncle has passed away and left him everything, including a stable full of expensive horses. 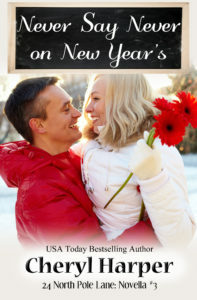 Best friend and fiancé Krista is struggling, too, so when she falls for one of the horses and begins to come alive again it seems like the answer to his prayers. But stable manager Allison claims to be the horse’s rightful owner and she wreaks havoc with CJ’s emotions. Healing his best friend will mean breaking the heart of the woman he’s falling for. After walking away from a successful career in the horse showing world, Allison needs to find a way to support herself and her horse. Using Nash as collateral, she borrows money from a friend and invests in her sister’s antique business. But when her friend dies, she discovers that Nash belongs to someone else. losing Nash feels like losing a child and Allison will do anything (and does) to get her horse back. Lucas Baker loves his family and helping his dad run the family business. He also loves the granddaughter of his family's archrival. When she returns home pregnant with their child, Lucas is bound and determined to hold on to this new family no matter what the costs. Valerie Warren left Christmas Town broken-hearted after signing her divorce papers and saying goodbye to the only man she ever loved. Eight months later, she returns with a secret - a secret that could change everything. Chris Atkins is happy at home, running Pawsitively Merry, the town pet store, with his daughter, a lazy guinea pig, a grumpy cat, and his old-man sweaters. When Ren Monroe blasts back into town, she shakes everything up, and he's not happy about it. Returning home after her London dream fails means Ren Monroe has an opportunity to get to know her best friends' daughter, Sydney, better. Sydney's father, Chris, and Ren have a long tangled history, including the death of the woman who tied them together, but that may not stop love. The Sheriff of Christmas Town in 2006, Chad accepts that his job is to keep the town safe so her citizens can believe in their whimsy. Having lost his parents to a senseless double homicide years before, he lives life in a completely cerebral way until he meets Bella and is forced to accept that feelings can be powerful enough to help solve crimes. A full-blood gypsy, Bella embraces the Bohemian in her, while rejecting what she believes to be trickery. She’s hard on herself, but believes in the innate goodness in people and in Karma. She’s an empath, but thinks her gift is a lie concocted by family members who wanted to make money off from her abilities. Trenton (Trent) Knowles (30) was born and reared in Christmas Town. He attended the University of Connecticut, graduating in Civil Engineering. With a wind burned face, he has a tiny scar under his chin, the remnant of a childhood fall. Because his face was wind burned, the scar stands out as a short white line. Trent owns Knowles Wonderland, an amusement park that is open year round and has a Christmas light show. Well over six feet tall, he has dark hair, a tiny dimple in his left cheek, and a rugged, sunburned complexion. His hobbies include designing structures, city parks, amusement centers, and housing developments. Whitney Emerson (27), an only child of parents who died in a train derailment when she was 20, is from Onondaga County, in Redmond, New York. She owns a company that manufactures and sells cards, where she started out writing greeting card sentiments (Christmas, sympathy, birthday). At 5'5" tall, she has dark brown, shoulder length hair, deep brown eyes, and a winning smile. Whitney's parents died when she was 20 in a train derailment. Dyslexic and prone to seasickness, the son of a librarian and a fisherman thought he’d found his niche in accounting until he happened on a Christmas tree farm for sale around Christmas Town, Maine. 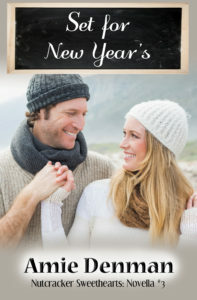 He’s happy with his life and with himself, but he yearns for a relationship like the one his parents have and intends to take his time in finding just the right woman to share his life with. The underachiever in a family of wildly intelligent professionals, Ellie wants to prove she can succeed at something on her own. 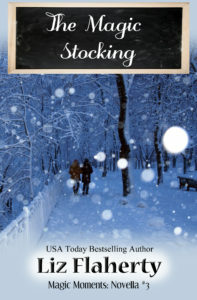 The California girl finds herself in Christmas Town, Maine managing a sock shop and nursing her wounds from a broken engagement. Rugged ex Army soldier Bodie Stark felt like a dad to a little boy who was stripped from his life. He wants nothing to do with love or raising children, content to help at his aunt's lodge and lead nature tours for visitors. When he's pressed into service to play the piano for the orchestra, the last thing he wants is to fall in love with the flame haired Pippa. Red haired Pippa Lewis is a music conductor who has become guardian to her deceased friend's preschooler. She's new to Christmas Town, having arrived as the last minute replacement to lead the orchestra for the town's production of the Nutcracker. Knee deep trying to provide for a child and keep her career aspirations alive, she's nowhere near ready for romance. Connor Adams, widower, is 32 year-old owner editor of the Christmas Town Herald. He promised to underwrite the salary of ballerina-teacher for the town's hoped-for semi-professional production of the Nutcracker. But he learns his paper is in financial trouble. Prima ballerina, 27, Giselle Pascal felt aged-out of her career in New York City. She hopes to find a permanent niche in the Christmas Town production. But she's confused by the tension experienced at her first meeting with the man who is her purported benefactor. Will she lose her job before she starts? Height 6'2", hair dark brown, eyes green. Loves flannel shirts, carpentry, peace and quiet. He builds the set for the Nutcracker, but only has eyes for the costume mistress. His dog Sawyer keeps him company in his workshop. Height 5'2", hair long and blonde, eyes green. New to Christmas Town, she loves sewing costumes for the Nutcracker Ballet, teaching, and running away from her messy past in which she dated her boss. Her cat Ginger is her sewing mascot.